Reviews of services have found that significant progress has been made at University Hospital Galway. REPORTS LOOKING AT conditions in the hospital where Savita Halappanavar died in October 2012 have found that a number of changes have been implemented. Other recommendations, which have not yet been put in place, were seen to be in the process of implementation. Three investigations have been conducted into the introduction of recommendations by health authority HIQA. These have included an independent review by Ernst and Young, a HSE patient safety review and a review by medical expert Professor Arulkumaran. These results were announced by the Saolta University Health Care Group at a public board meeting in Galway yesterday. The independent review of services at the hospital by consultants Ernst and Young on behalf of the Saolta Group was conducted to look into the implementation of HIQA’s 15 local recommendations at the hospital in Galway. In the report it was found that five recommendations that related directly to “effective care” have all been either fully implemented or have an effective implementation plan in place. The report also found that there was no residual action remaining to be taken and that the Saolta Group was committed to implementing recommendations included in the plan. We want to embed this continuous learning into the way we work every day. While expressing general satisfaction, there are still concerns within the report about the timeframe that some changes are being implemented in. For four of the recommendations, there were concerns about the ability of the service to meet them within the allotted timeframe. Praveeen Halappanavar, widower of the late Savita, is hopeful that his case for medical negligence will receive a hearing in spring of next year, as reported in The Irish Times this morning. Gerry O’Donnell, solicitor for Halappanavar, said he was seeking an “early hearing” and that “the hospital has admitted liability and could endeavour to settle the case, or they could request that it be adjudicated by a judge”. 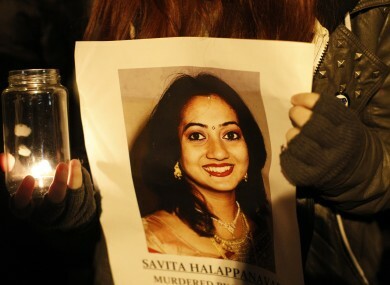 Email “The hospital where Savita died is improving, although not quickly enough in some areas ”. Feedback on “The hospital where Savita died is improving, although not quickly enough in some areas ”.